Morgan Stanley research compares cryptocurrency exchange numbers and trading volumes by territory. An analyst working for Morgan Stanley has neatly mapped out the locations and trading volumes of cryptocurrency exchanges categorised by country. The research was conducted by a team headed by Sheena Shah, according to Business Insider. 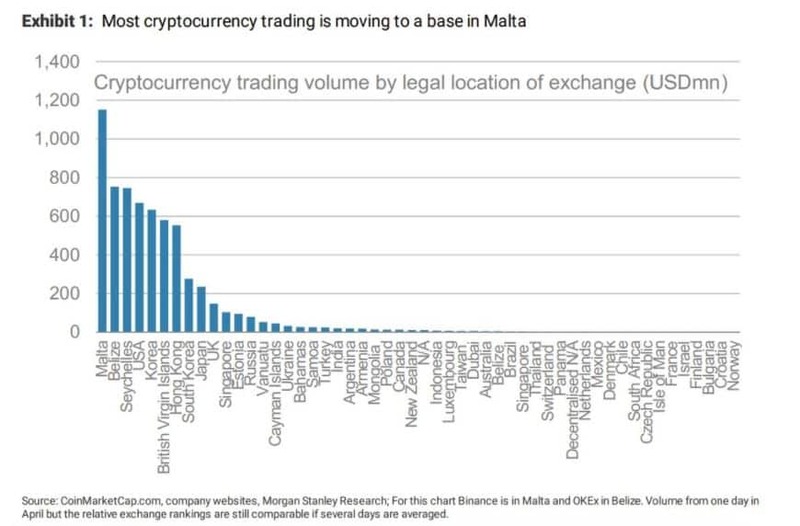 The territory with by far the most trading volume is Malta. This is despite it having only the 24th biggest population of cryptocurrency exchanges. The discrepancy is because two of the biggest cryptocurrency exchanges in the world, Binance and OKEx, recently announced that they will be moving there shortly as the island’s government is making an effort to present itself as an attractive location for such businesses. Other companies are likely to follow. Another example of the dominant market share of the biggest exchanges is Belize – second place in volume, 26th in number of exchanges. This is explained by OKEx being officially registered in Belize. It was concluded in the report that cryptocurrency exchanges are attracted by regulation which allows them legitimacy but is also not too harsh, something that is lacking in most of the world. The countries with the most cryptocurrency exchanges are the US, the UK, and Hong Kong. 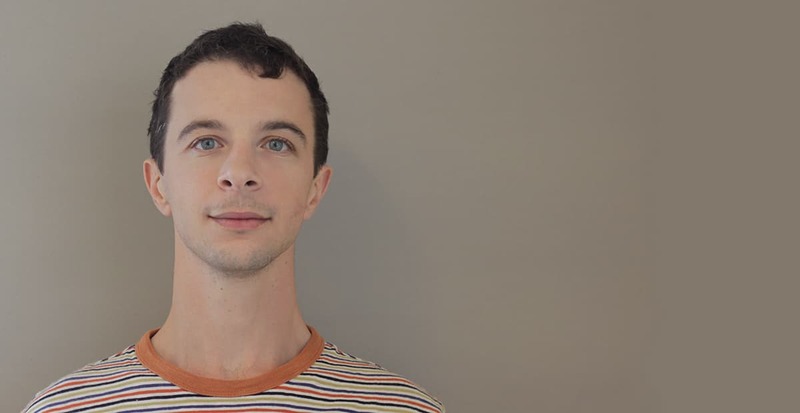 “Defined but also attractive regulation makes an exchange decide to choose one country over another – a set of laws for companies to follow when handling digital tokens, customer assets, AML policies, taxes, etc. Regulatory certainty is part of the attractiveness for the companies so they can plan for the future as they know what to expect. Low taxes are a benefit,” wrote Shah. Morgan Stanley is an American investment bank with a history of cryptocurrency research. In July 2017 it concluded that Bitcoin is a speculative gamble (“The disparity between virtually no merchant acceptance and bitcoin’s rapid appreciation is striking”), and in December it released “Bitcoin Decoded” in which it explored the billions in investments dollars received by cryptocurrency. Shortly after, it began processing Bitcoin futures. Wonder why Japan is not more popular than they are now? Maybe it is too expensive to setup there. Or lack of English?